teams achieve their goals by automating tasks and simplifying their workflow. Prism is an easy to use CG Pipeline. Every feature of Prism is accessable from an easy to understand user interface. You don’t need to know anything about programming or pipelines. 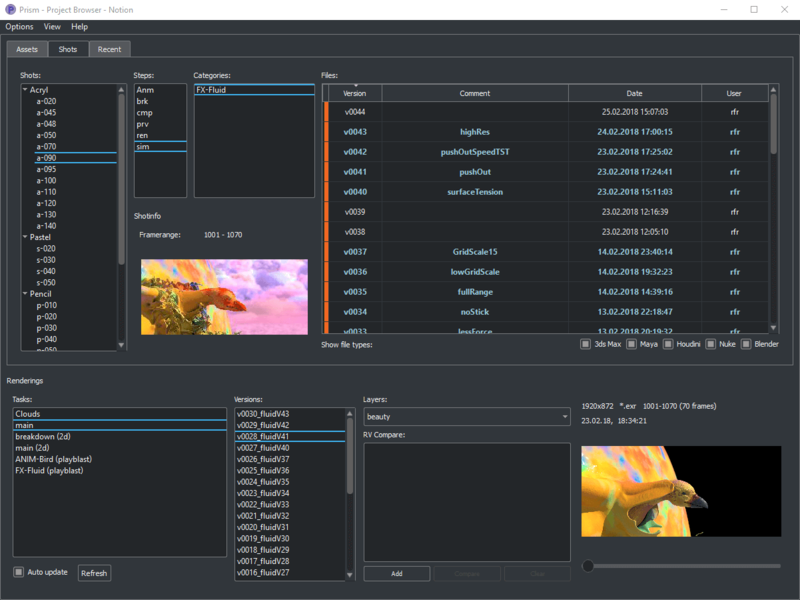 Prism manages your complete workflow from the initial project setup to managing scenefiles to comparing renderings and composit them to create the final images. Prism includes many different features to automate your workflow.